A sculpture in its own right, Museum Tower Dallas cultivates an appreciation of beauty and luxury in all things. From offering unprecedented access to the famed Arts District to the incredible residences and exclusive amenities to match, the 42 story high-rise is fully immersed in a world of art and culture. Step into the extraordinary and realize just how Museum Tower truly masters the art of living well. Designed by visionary architect Scott Johnson and modeled after the clean, bold lines of a Doric column from ancient Greek architecture, Museum Tower represents a classic modern form. 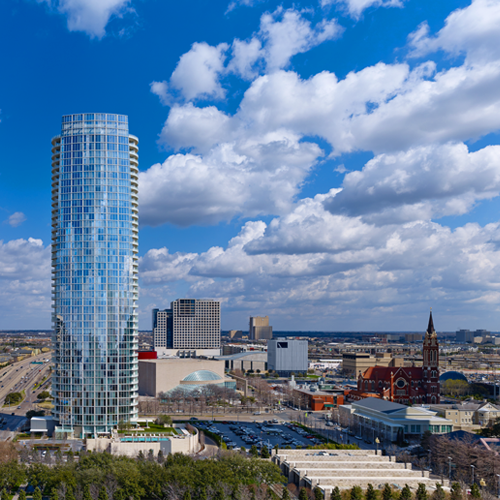 Simplistic yet powerful in design, the sleek tower evokes understated and refined beauty while revealing - and complementing - sweeping views of Dallas. The luxury residences housed within the building are as equally breathtaking as the exterior structure. Featuring open, well-designed spaces accompanied by the finest finishes, extraordinary amenities and flowing floor plans, Museum Tower residences are stunning blank canvases ready to be transformed by each owner’s unique artistic expressions and aesthetic tastes. Whether your personal tastes err toward the contemporary or the traditional, the designer high-rises at Museum Tower explore ways to complement your unique approach to life. 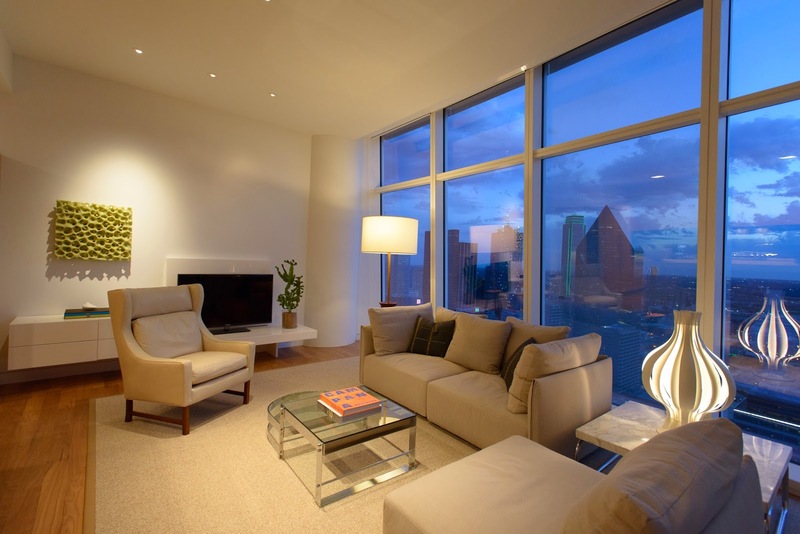 With plenty of space to design, expansive blank walls for hanging art and stunning floor to ceiling Dallas skyline views, beauty will surround you at every turn inside your high-rise residence. The sky is the limit when it comes to creating the home of your dreams. From the moment you step inside Museum Tower, an appreciation for art is apparent. From the airy lobby to the tastefully decorated Owners Lounge, Museum Tower is proud to house an extensive art collection. Owners and guests alike enjoy gazing upon an array of works perfectly positioned around the building from talented artists such as Jonathan Allen, Dan Bayles, Erin Curtis, Robert Levine and McKay Otto. From dwelling in a structure that is a work of art in and of itself to surrounding yourself with the works of Pritzker Prize-winning architects and the cultural institutions housed within, the art of living well is fully achieved at Museum Tower. Museum Tower offers its owners the rare distinction of living among the works of several Pritzker Prize-winning architects. Within walking distance are the Morton H. Meyerson Symphony Center designed by I.M. Pei, the Margot and Bill Winspear Opera House designed by Lord Norman Foster, the Rem Koolhaas-designed Wyly Theatre and the Perot Museum of Nature & Science designed by Thom Mayne. Not only are these buildings representative of extraordinary architectural design, they are also home to some of Dallas’ finest cultural institutions. From the sounds of the symphony to mesmerizing movements of dance to emotion-stirring theatre, the visual and performing arts are never in short supply living at Museum Tower. 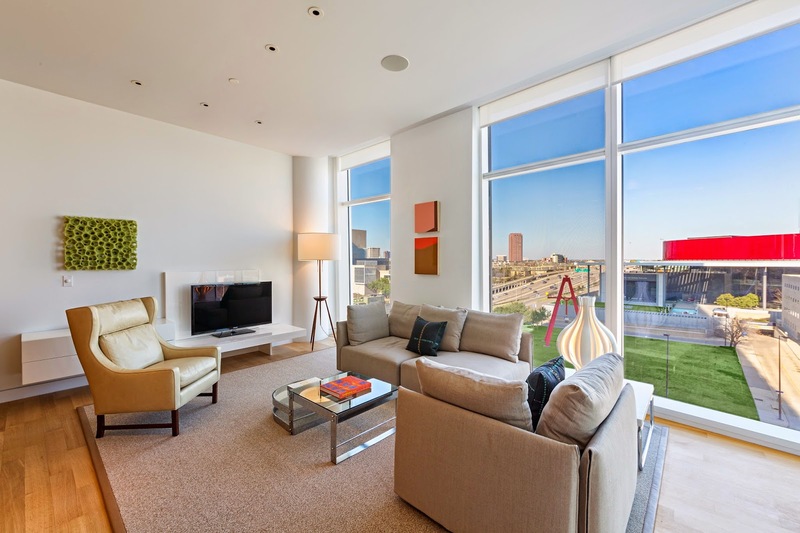 To experience the essence of artful living, arrange your private tour of Museum Tower today.